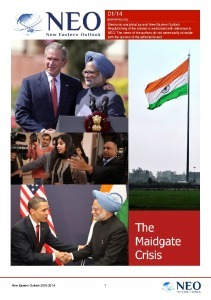 Since the 1928 Red Line Agreement between British and French and American oil majors to divide the oil riches of the post-World War I Middle East, petroleum or more precisely, control of petroleum has constituted the thin-red-line of modern geopolitics. During the Soviet time Russian oil exports were largely aimed at maximizing dollar hard currency income in any possible market. Today, with the ludicrous US and EU sanctions on Russia and the Washington-instigated wars in the Middle East, Russia is evolving a strategic new frame for its oil geopolitics. Much has been said about how Russia under the Putin era has used its leading role as a natural gas supplier as a vital part of its geopolitical diplomacy. Nord Stream and soon Nord Stream II gas pipelines direct from Russia undersea, bypassing the political NATO minefields of Ukraine and of Poland, have the positive benefit of building an industry lobby in the EU. Especially in Germany, which would think twice about the more lunatic Russo-phobic provocations of Washington. Similarly Turkish Stream that gives South East Europe a secure prospect of Russian natural gas for industry and heating independent of Ukraine is positive both for the Balkans as for Russia. Now a new element is emerging in the strategy of Russian state-owned oil majors to develop a new geopolitical strategy using Russian oil and oil companies. On December 7, 2016 Russia’s President Vladimir Putin announced that the Russian state had sold a 19.5% share of Rosneft to a joint venture between Swiss commodity giant, Glencore and the Qatar Investment Authority for €10.2 billion. Russia retained more than 60% control by the sale. There was great mystery as to the ultimate details which were buried in what in Russian is called a matryoshka doll structure, referring to the famous Russian painted dolls which when opened, reveal a smaller doll and again, an even smaller doll and so on. It referred to the nested structure of offshore shell companies used in the Rosneft-Qatar/Glencore purchase. Whatever the details of that December sale, which brought the Russian treasury badly needed funds amid a budget shortfall caused by the sharp decline in world oil prices, some ten months later, Russia and Rosneft have now negotiated with Qatar, Glencore and China’s CEFC China Energy Company Ltd., for CEFC to buy 14% of the 19.5% share of Rosneft. Qatar clearly is reacting to Saudi-driven economic sanctions and the resulting cash drain on its economy by selling most of its share in Rosneft. The most significant aspect however is that Rosneft for the first time makes a share holding with a Chinese major oil company in the process. CEFC, a $34 billion annual income private Shanghai company with its subsidiaries is engaged in oil and gas agreements worth more than US$50 billion with companies in the Middle East and Central Asia. The synergies of the Rosneft-CEFC deal for the elaboration of the mammoth Eurasian Belt, Road Initiative (BRI) are obvious. With this deal Russian and Chinese state oil companies will cooperate on joint oil development around the world, a major cementing of a bilateral relationship that has emerged as a direct consequence of Washington stupidity in the past years, first with the 2007 ballistic missile defense stations in Poland and across the EU aimed at Russia, then the 2014 Ukraine coup d’etat by the CIA and US State Department, obviously intended to drive a wedge between Russia and the EU, a coup that has cost the EU economies an estimated $100 billion since 2014 according to a new UN report. Like most Pentagon and neocon projects, the Ukraine coup boomeranged and turned Russia in a most significant way to an Eastern pivot towards cooperation with China and all Eurasia. Now with Russia’s Rosneft–the world’s largest publicly traded oil company–in a strategic partnership with China’s huge CEFC Energy, a significant new element is added to Russia’s potentials of energy geopolitics, as well those of China. In another highly significant geopolitical move, the Russian state oil company JSC Zarubezhneft announced in August that it has entered a triangular oil development agreement with the Turkish energy group, Unit International Ltd. and the Iranian Ghadir Investment Company in well drilling projects in Iran worth a reported $7 billion. The three companies will finance and develop energy projects, including development of Iran’s vast undeveloped oil resources. Unit International earlier this year signed an agreement together with a South Korean engineering company to build five gas-fired power plants in Iran worth $4.2 billion having a generation capacity of 5,000 megawatts, making them Iran’s largest privately developed power plants. Iran is also the second largest gas supplier to Turkey after Russia. Clearly here at least the Sunni vs Shi’ite antagonisms take a back seat to pragmatic strategic energy cooperation, and that’s all to the good. Wars of religion never produce good as we see today. The Turkish joint venture with the Russian state oil company in Iran comes at the same time Turkey announced that it has finalized purchase of the advanced Russian S-400 Triumf anti-aircraft system, said to be the world’s most advanced, over howls of protest from Washington. Zarubezhneft is a Russian state oil company specialized in drilling projects outside Russia. They are currently active in Vietnam, Cuba, Republika Srpska, Jordan and elsewhere. 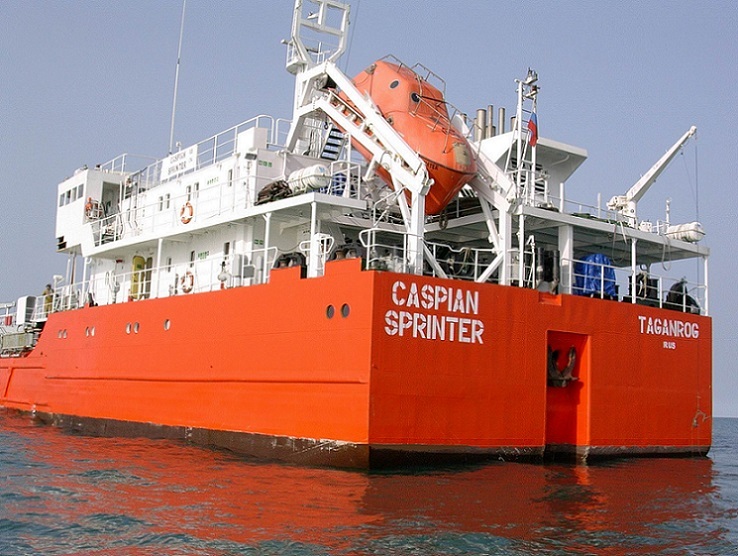 The geopolitical dimension of those projects, and now the joint Russia-Turkey oil and gas development agreement in Iran, begins to suggest a geopolitical strategy. Joint energy development is serving to weave vital economic ties around Russia. 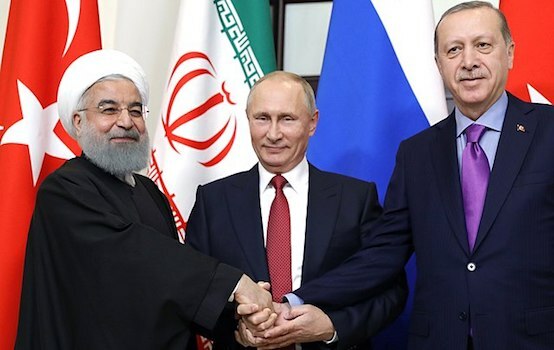 When all these developments are viewed superimposed on a map of Eurasia, it becomes clear that a new geopolitical relationship, what we might call an economic energy force field is drawing Turkey closer to Russia and to Iran, as well as China. For its part, Qatar, a nominally Sunni country which earned the enmity of Prince and soon-to-be King, Mohammed bin Salman of Saudi Arabia, did so less for Qatar’s earlier support of the Muslim Brotherhood and more for its developing relations with not only Moscow, but also with Shi’ite Iran and with China. Qatar had been in secret negotiations with Iran for joint development of their shared Persian Gulf natural gas field. Previously Qatar, along with the Saudis and even Turkey, financed the war against Bashar al Assad for Assad’s refusal to go with a Qatar gas pipeline via Syria to Europe. Assad instead joined with Iran and Iraq in an alternative Iran gas pipeline to Europe and the six-year-long terrorist war against Assad was launched. At some point following Russia’s decision to aid Assad in late 2015, in a pragmatic turn that infuriated the Pentagon and Prince Salman, Qatar made a new decision along the lines “if you can’t lick ‘em, join ‘em.” Qatar entered secret talks with Iran over Syria and over a joint Qatar-Iran pipeline that would mutually develop the world’s largest known natural gas field they both share in the Persian Gulf—the South Pars/North Dome field, by far the world’s largest natural gas field according to the International Energy Agency (IEA). The battle to control Qatar in a sense is the battle to dominate world natural gas markets, today almost as economically significant as oil to the future world economy. In response to the Trump-Kushner inspired Saudi and UAE-led economic sanctions against Qatar last June, Qatar has stepped up its relations with Iran, with Russia and with China, while refusing the impossible Saudi-UAE demands. The Chinese state bank in Doha has transacted the dollar equivalent of over $86 billion worth of transactions in Chinese Yuan since the opening of the Doha branch of China’s Industrial and Commercial Bank of China in 2015, and has signed other agreements with China that encourage further economic cooperation. Then on August 23, Qatar announced it was restoring full diplomatic relations with Iran, not exactly what Jared Kushner’s friends in Washington and in Tel Aviv wanted to see. Since the Saudi-led sanctions to isolate and starve Qatar into submission, Iran has provided Qatar with sea shipments of fresh food and allowed Qatar planes to cross its airspace. Moreover, Qatar relations with Russia are developing. Qatar, Iran and Russia are the main lobbyists for the creation of the so-called “Gas OPEC”, which Saudi Arabia, the United Arab Emirates and the United States vigorously oppose. Add to this changing force field in the Gulf the fact that Erdogan’s Turkish government, previously a staunch ally of Saudi Arabia, condemned the Saudi actions against Qatar. Turkey sent food supplies to prevent embargo-related shortages in Qatar after June and passed legislation through parliament to deploy Turkish troops on Qatari soil. ties, walking away in the case of Qatar and Turkey from their ill-conceived US-inspired war against Syria’s Bashar al Assad, developing long-term energy cooperation and defense ties. At the heart is Russia’s emerging new oil geopolitics. The response to this all from the sinking Titanic that used to be known as the United States of America, of its military lobby and their Wall Street bankers who actually run Washington policy via their web of think-tanks, is infantile: war, destabilizations, color revolutions, sanctions as a form of economic war, demonization, lies. That’s all rather stupid and ultimately boring.